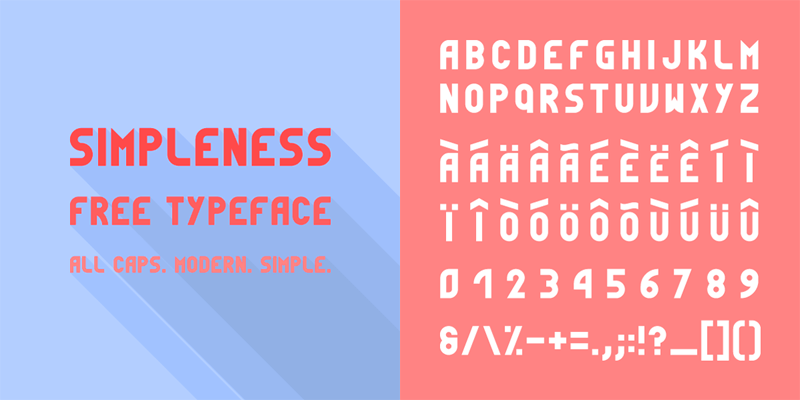 Simpleness is an all caps minimalist typeface, inspired by the Bauhaus movement. Feel free to use it or modify it as you wish. Credits are of course appreciated and I would be pleased to feature your work on my website if you use this font.